3. Why Read Carl Schmitt? 4. States of Emergency Beyond the Nation State? Christoph Bezemek is Professor of Law at the University of Graz, Austria. 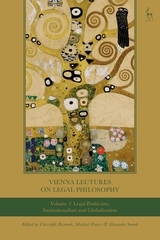 Michael Potacs is Professor of Law at the Vienna University of Economics and Business, Austria. Alexander Somek is Professor of Legal Philosophy at the Institute of Legal Philosophy at the University of Vienna, Austria.